My whole life’s work has led to this point … the teaching of Kabbalah and TOLK©. I studied mythology and ancient mystery religions and philosophy at University 25 years ago. This then moved into archaeology, Egyptology, astrology , astronomy, cosmology and the study of ancient languages including Latin, Greek, Akkadian and Hieroglyphic texts. I always thought I would work in the “field” or be a researcher of ancient history. But that was not to be my path. In the way of synchronicity, a chance meeting in a coffee shop saw me become a member of a Kabbalah group which taught the oral tradition. This is not easy to find, but it meant that I learned how to do “pathworking”. No book will tell you this. It is one thing to learn about the Tree and quite another to work the Tree. After seven months of learning this and reading the ancient texts on Kabbalah, I began my formal study of the theoretical Kabbalah, a field of study which takes many years to complete. The Jewish tradition says that Solomon’s Temple in Jerusalem is laid out in the format of the Tree of Life. My work in Egypt has convinced me that Egyptian temples, older than Jerusalem, are also laid out in a similar way. Today, the Gothic cathedrals in Europe are said to hold within them a code. 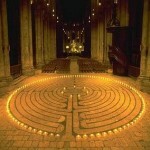 Chartres cathedral in France, with its famous labyrinth, is said to be a replica of the Tree of Life. For many years, my area of post graduate research has been the hermetic movement of the 15th/16th centuries in Europe. Hermeticism simply put is the belief that there was an ancient wisdom far exceeding our own. In the past Kabbalah has taken years of work and study before one is able to experience the chanting and meditation work that is pathworking. There is reason for this. Some people say that those with the knowledge wish to keep it for themselves and hence they have an initiation process. But it is deeper than that. When you begin pathworking the Tree, or indeed study the theoretical Kabbalah, you are tapping into a long collective history of similar pathworking. What is pathworking? The Sephiroth are levels of consciousness. The paths which lead between these Sephiroth are bridges between these levels of consciousness. As we focus on the path and chant the corresponding Hebrew letter, we clear blockages which allow our energy to flow. The further I explored the Kabbalah the more I felt the Tree speak through me. I began to channel information. My writings filled countless journals. I was told to bring astrology, tarot and mythology back to the Tree … that it was time to develop a “new Tree” for a New Age. 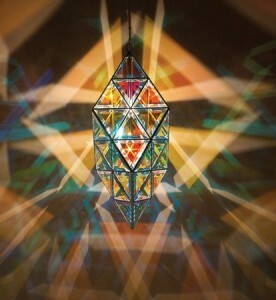 And so Tree of Life Kabbalah and TOLK© was born. And we who journey with the Tree, in the spirit of joy and fun, call ourselves TOLKERS. Tree of Life Kabbalah and TOLK© is a powerful tool for gaining information and insight as it enables you to ask the collective while in the supportive environment of a group. As a result, your life will change. Not everyone is ready for this. But for those who are, and for those who want to learn, the rewards are enormous. Go outside and play said God. I have given you Universes as fields to run in! And stars! The sun and the moon and the stars! And eyes oh, gaze into the eyes of every lover. as fields to run free in. I have given you everything you need.